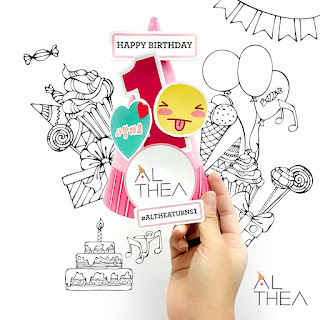 [EVENT + CONTEST] It's Althea Korea's 1st Birthday! It only felt like yesterday when we were all first introduced to Althea Korea and now, it is already ONE year old and they already reaching to their 5th country!! Thank you Tammy-san for making things possible and to Althea Korea for spoiling us rotten with genuine beauty products at such affordable price! May you grow further, reaching out to every woman (and men) in the world, making them beautiful! I supposed that by now, you may have heard of all the Althea hypes that has been taking over Facebook and Instalgram. If you have not, then let me share this to you because you would not want to miss this opportunity! 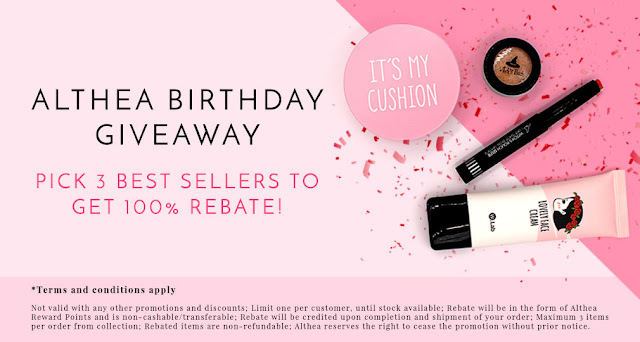 100% REBATE on 3 Top Sellers of your choice! What more, wish Althea Korea with your party kit to stand a chance in winning amazing prizes such as Macbook Air, Ipad Air 2, iPhone 6S, Galazy S6 Edge, Canon EOS M10 selfie camera and many more! All in total worth KRW10,000,000! Here is what you've got to do. ** Contest starts from 20th July - 15th August, 2016.
check out my Youtube channel from time to time as I am going to do an unboxing real soon! Good things doesn't last forever, so hurry and get your beauty Pink Box before 15th August 2016. Visit Althea Malaysia Facepage or www.althea.kr for more info!